Ever wanted to try historical martial arts, but weren’t sure which kind you were interested in, or even what kinds are out there? We’re here to help! On November 19th, a variety of classes will be delivered by by all the schools who train at the Melbourne Salle. 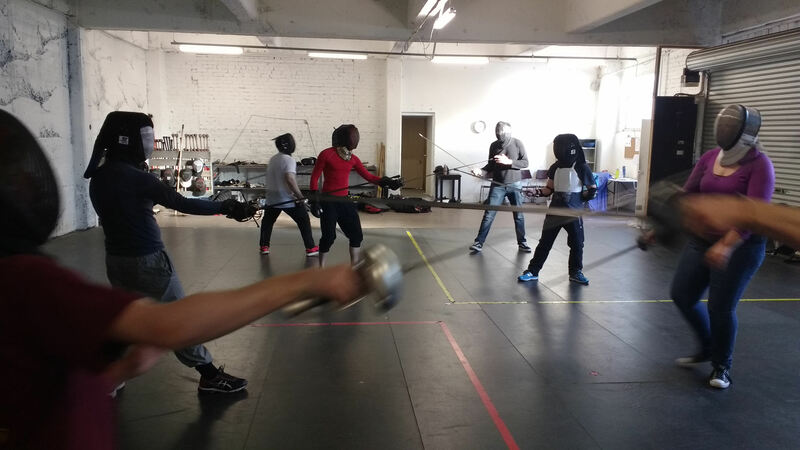 This is a great opportunity to try a class on any of the systems taght at the Salle including: broadsword, longsword, rapier, messer, greatsword, sword & shield, dagger, spear, and more. Come, have a look, grab something from the BBQ for lunch, and even participate in a class (or five!) and see what we’re all about. 2:45 small classes by interest. Places are limited, so registrations for classes are required. Payment can be made in cash on the day, or by PayPal / bank transfer beforehand. We’re still working on the exact timetable – we’ll let you know! This entry was posted in beginners course, seminar and tagged Come & Try, workshop on October 25, 2017 by Gindi Wauchope.